Eeeek time has flown by this spring, friends. I have SO many things going on that I can't wait to tell you about oh so soon! It's been a great few months. 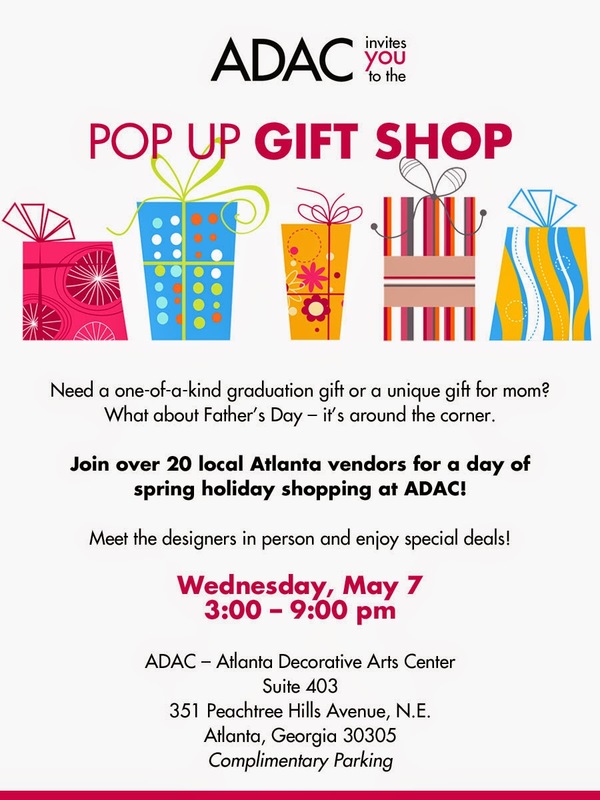 In the meantime, I wanted to pass along word of a fun shopping experience, over at ADAC in Buckhead this Wednesday, May 7! Pop-up shops are so fun. This one is timed perfectly for all of the spring and early summer events coming up, too. I also am excited to check out the insides of ADAC in general! That place is super cool.